LG Nexus 4 is the Google is Google’s fourth Nexus-branded Android smartphone that was designed with and manufactured by LG Electronics. Nexus 4 was launched with the new Android 4.2 operating system and featured with a 1.5 GHz quad-core Snapdragon S4 Pro processor, 2 GB of RAM, 8 or 16 GB of internal storage. I still not get the Nexus 4 Android phones, but here is the custom ROM that special design for international Galaxy S3 GTi9300 phones. 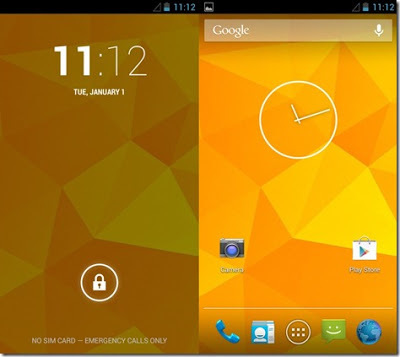 This custom ROm will change your Galaxy S3 UI and Navigation still look same as Nexus 4. Besides this, this custom ROM based on Android 4.1.2 firmware also was design for better performance , added new function and features. Note: Flash or modified Galaxy S3 firmware will void the phone warranty. Method below is only for your reference and only for the international Galaxy S3 GTi9300. Try it on your own risk. Step1 : Your Galaxy S3 must get Root access and install CWM Recovery. You can refer tutorial here on how to root Galaxy S3. Step flashing this custom ROM will wide all your phone data, so made a proper backupbefore proceed to step as below. Step2 : Super Nexus(.zip) custom ROM from the developer link. Step3: Power off your Galaxy S3. Step4: Boot into Recovery Mode by press the Power Button + Volume Up Button +Home Button. Step5: Now you are boot into CWM Recovery Mode. Then you need perform Wipe cache partition, wipe data and factory reset. Step6: Now, go to install zip from SDCard > Choose zip from SDCard > Super Nexus(.zip)> Yes – Install Super Nexus(.zip). Step 7: The flashing process is start. Step 9:Reboot your phone after installation complete. 0 Respones to "Galaxy S3 Custom ROM ( SuperNexus )- Turn S3 into Nexus 4"